A weathercock has risen from the sea of Discworld, and suddenly you can tell which way the wind is blowing. A new land has surfaced, and so have old feuds. And as two armies march, Commander Vimes of Ankh-Morpork City Watch has got just a few hours to deal with a crime so big that there's no law against it. It's called 'war'. He's facing unpleasant foes who are out to get him ... that's just the people on his side. The enemy might even be worse. And his pocked Dis-organizer says he's got Die under 'Things To Do Today'. 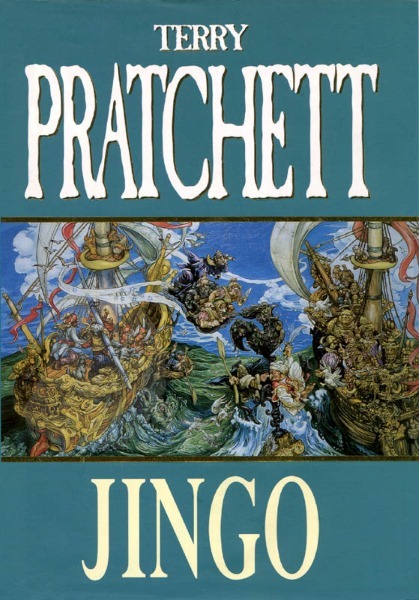 But he'd better not, because the world's cleverest inventor and its most devious politician are on their way to the battlefield with a little package that's guaranteed to stop a battle ... Discworld goes to war, with armies of sardines, warriors, fishermen, squid and at least one very camp follower.